Simone van Saarloos (New Jersey, USA, 1990) is a writer from Amsterdam, The Netherlands. She studied Philosophy and Literature studies at the University of Amsterdam and at the New School in New York City. Until recently, she wrote a column three times a week in the Dutch newspaper nrc.next. 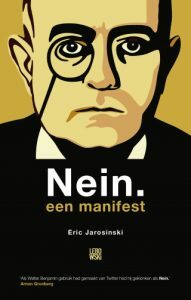 These columns – questioning morality; how to live a good life and seeking to shed a different light on world events – are collected as a book, Ik deug/deug niet. She also wrote a weekly column for the magazine Vrij Nederland and has written a book called Het monogame drama (THE MONOGAMY DRAMA) – a manifest in which she questions the way we structure our social lives. She has published essays and opinions, fiction stories, literary reviews and interviews. She is also an experienced interviewer, in both English and Dutch. Rachel Kushner, Katie Roiphe and Roxane Gay are amongst the people she has interviewed. Simone collaborated as a writer in international theatre productions with Ulrike Quade and Play Productions. In the fall of 2017 she is touring with a new theatre play, “Holy F” about feminism in the Netherlands, while writing on stage and performing as herself. Her first novel, De vrouw die (THE WOMAN WHO) was published in November. 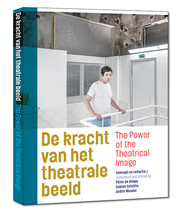 De kracht van het theatrale beeld / Essay “Spontaneous” in scenography book / Publicatie Scenografie, 2016. Text in Work Horse, a photography book by Charlotte Dumas, The Ice Plant, 2015.